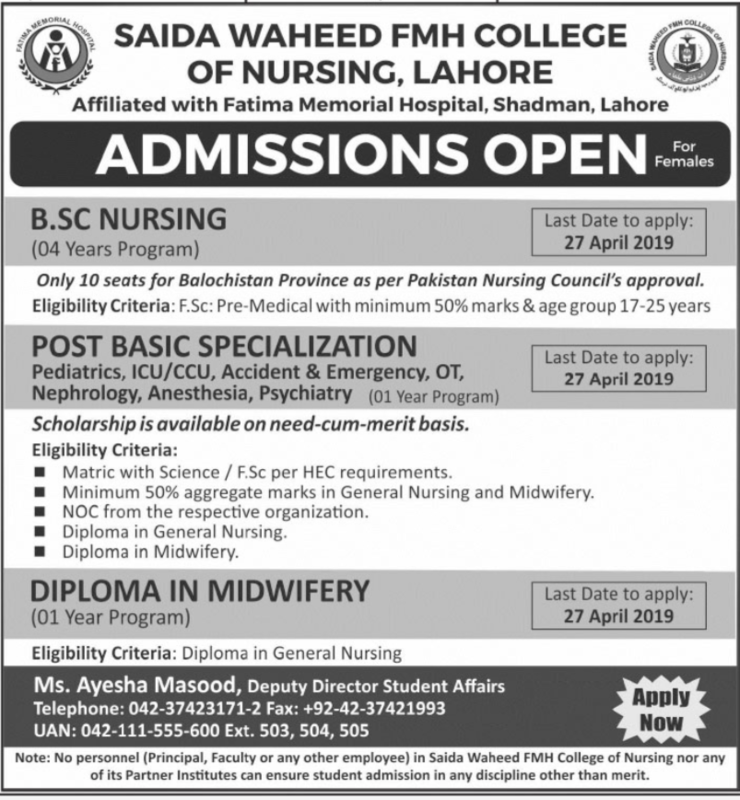 Lahore, Saida Waheed FMH College of Nursing Lahore has started the admission process in different nursing courses. The candidates are asked to forward their admission forms till the last date of 27-04-2019 in the programs including BSc Nursing, Post Basic Specialization and Diploma in Midwifery. The candidates will follow Saida Waheed FMH College of Nursing Admissions 2019. The candidates will read the necessary instructions and they will follow them at the time of sending the admission forms.